Comte Fort des Rousses is made from the raw milk of red and white Montbeliarde cows in the Jura Mountains of France in Franche-Comte. This robust cow produce small quantities of high quality milk that cannot be carried for more than 25 km to be respectful of its integrity. 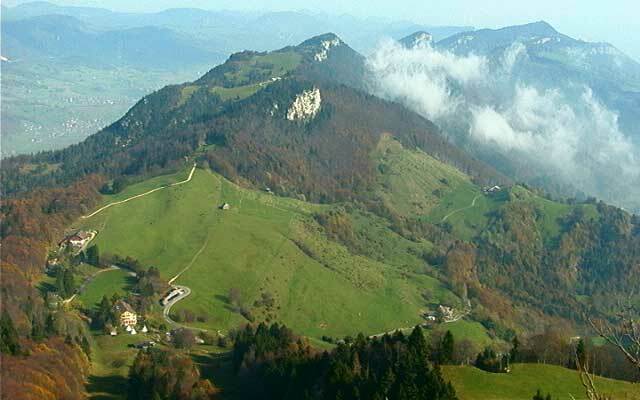 The Comte Fort des Rousses is produced in small, cooperative dairies, known as "fruitières” that produce the cheese only in summer time. 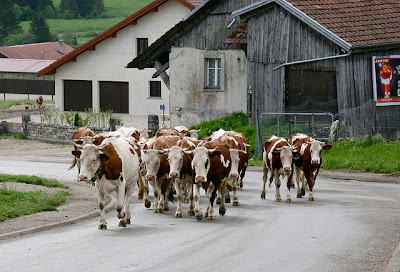 They mostly use the winter milk to produce Mont d'Or and Morbier. The rule of DOP restricts the farmer from using any sillage to feed their cows. Comte is the most popular DOP cheeses in France. Fan of this cheese have found more than 83 distinct flavors including apricot, chocolate, butter, cream, and grilled bread. Eighteen month old Comte evokes the flavors of mountain flowers, butterscotch and spice. It will pairs beautifully with a variety of wines from big reds to delicate whites to sweeter desert wines.